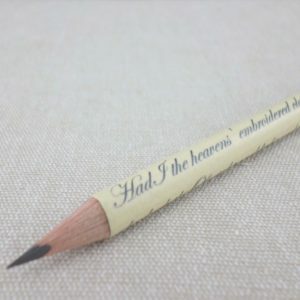 Shakespeare Quote Pencils. 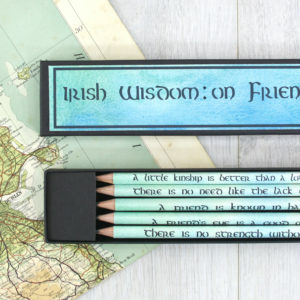 Five literary pencils in a matching gift box. Choose from Shakespeare’s most famous plays. 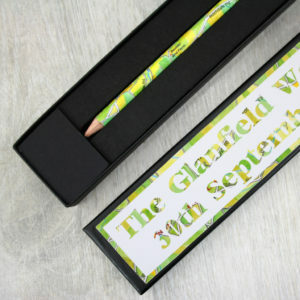 A lovely graduation gift or as a thank you gift to your favourite teacher. A set of five pencils each with a variety of Shakespeare quote’s on them. 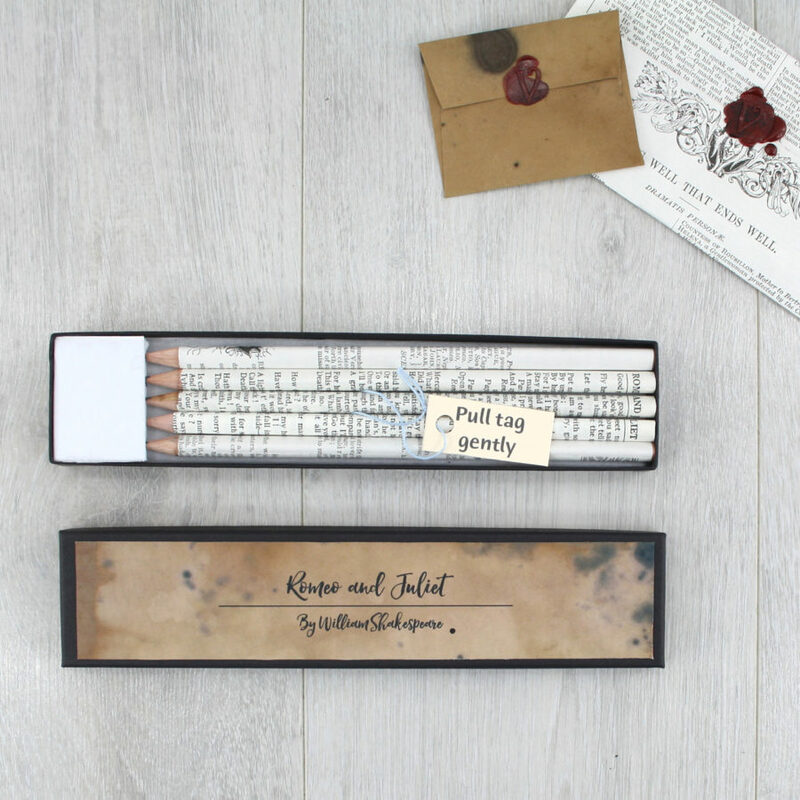 Your pencils come in a matching literary themed gift box. 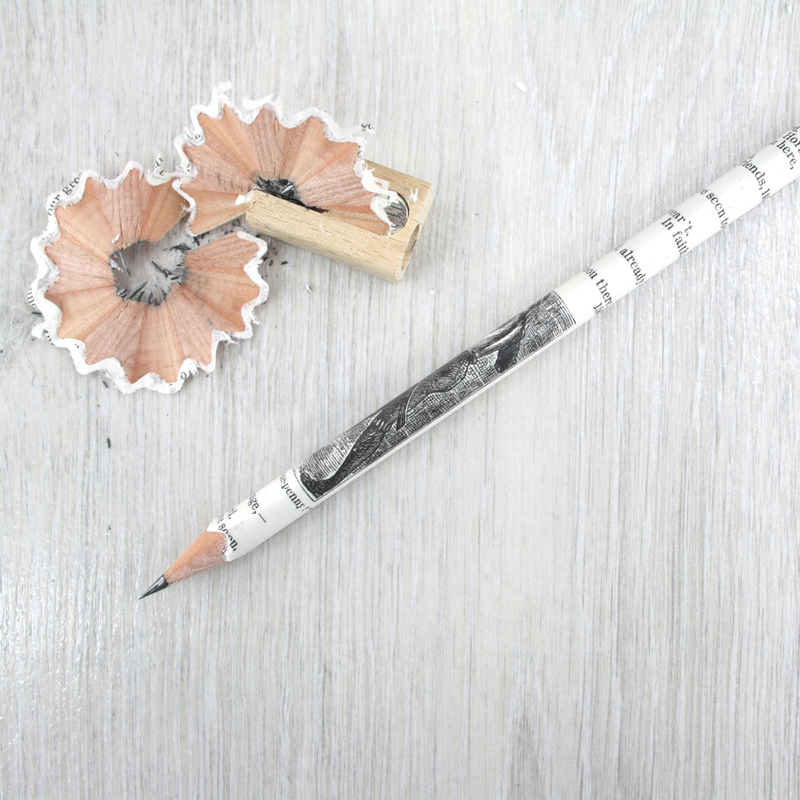 Each pencil is hand covered in a section from a vintage Shakespeare play, meaning that no two pencils are ever the same. 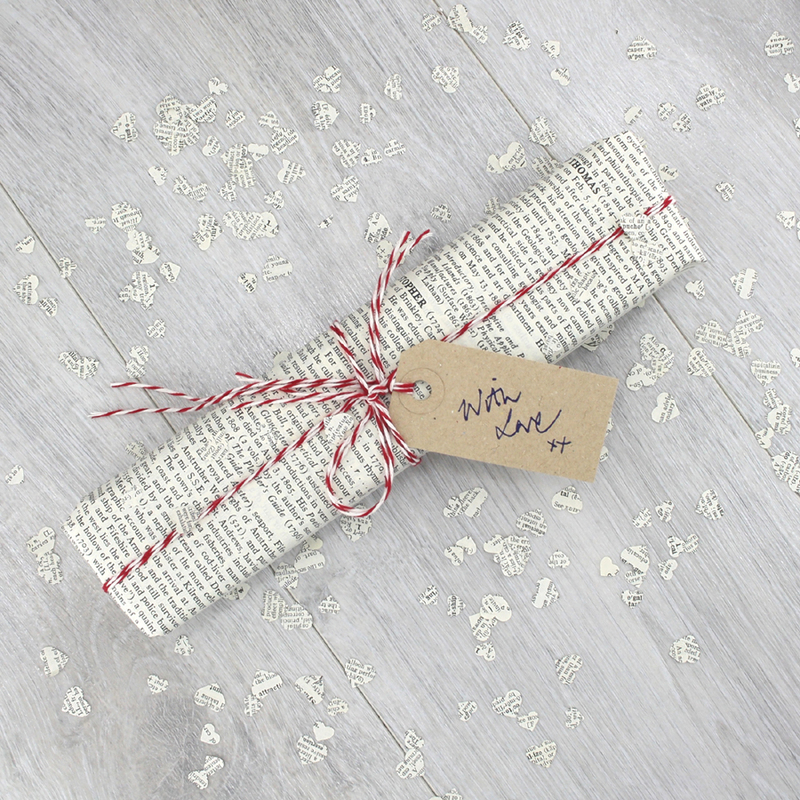 What a beautiful literary inspired gift for English majors, inspired by the words of the greatest writer of them all. 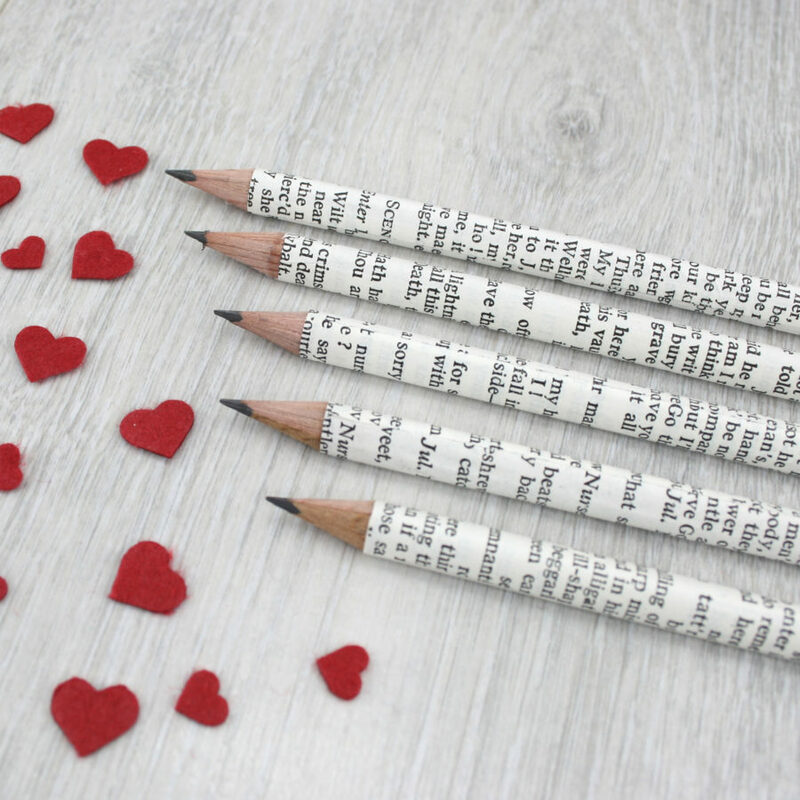 The Shakespeare pencils make lovely graduation gifts, end of term thank you presents for teachers or to give as a birthday present to someone who you know LOVES William Shakespeare. If you can’t find your Shakespeare play on the list? Just get in touch and I will create a custom listing for you. 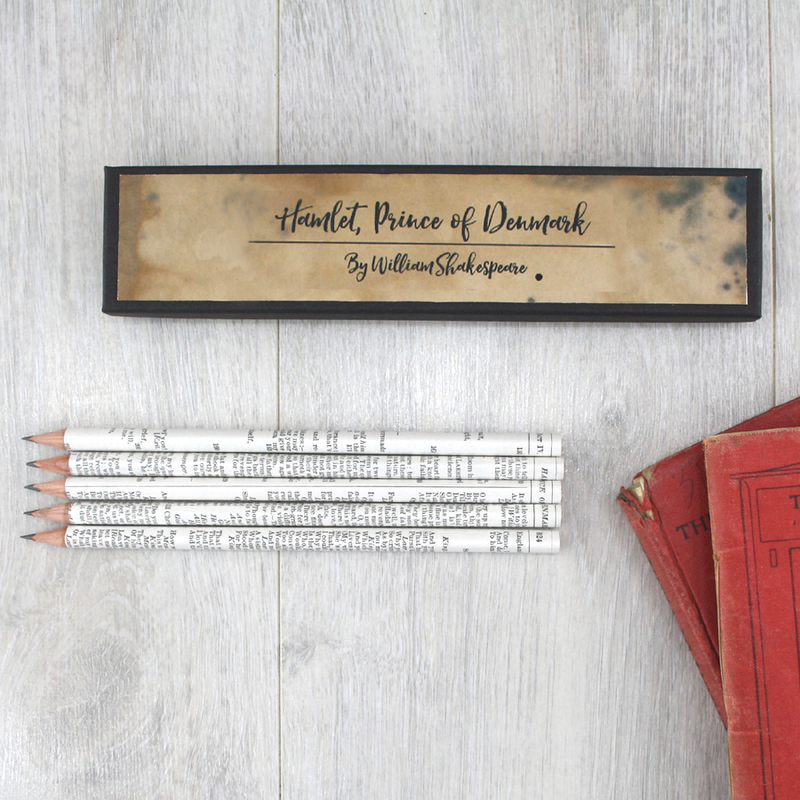 Each of your Shakespeare quote pencils is sealed with a hard wearing matt varnish that prevents the text from fading. 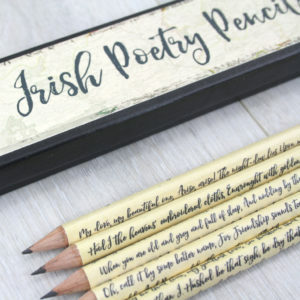 Please note that as each of your pencils is made using original Shakespeare plays no two sets will be exactly the same. Your set may differ slightly from that shown.